Happy Wednesday to all my lovely followers. 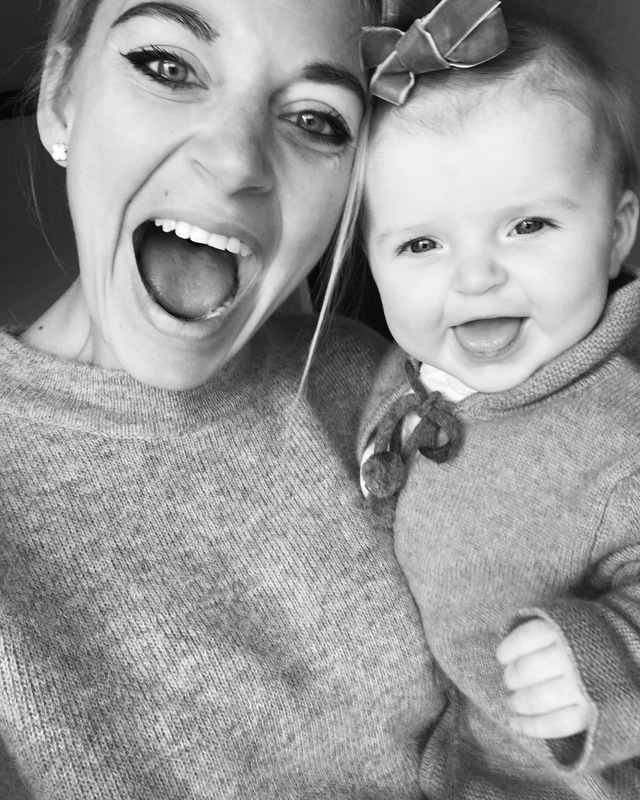 This year I decided that rather than make New Years resolutions, I would reflect on the past year: what it has been like for me to become a mother for the first time and what I have learned so far. 1.Its ok to not have time for everything. As mothers I think we are capable of a lot. But I try to gym, work on my blog, go for walks, spend quality time with Mila, see friends, go for date nights as well as all the things I absolutely have to do such as feed her and then about a million other things every day and sometimes you just have to accept that you cant do everything. At least not properly. Thinking back to when I gave birth I now think I was MENTAL to start doing outfit shoots like one week after but at the time I felt great so I guess why not? But this year I want to try to relax a bit more and just be. 2.People will give you looks when your baby cries and thats ok. When we flew to Mauritius and back, Mila slept the ENTIRE way. Apart from the final 30 minutes on the way back. When she cried. The looks we got from other passengers were insane. Like did they miss the fact that she slept the entire way back apart from that final 30 minutes?? Clearly. But you know what, I am so over that now because its human nature and a few years ago I was probably the person on the flight who rolled my eyes when a baby cried. 3.No-one has a clue what they are doing in the beginning. You can read ALL the books in the world but you cannot “choose” what kind of baby you will have and nothing will prepare you for how you will feel when you first meet your baby. We just went with the flow and I think we have been very lucky in that Mila is an easy baby but we laugh when we think back to the first few weeks and how clueless we were! 4.All your baby really needs is love and food. And cuddles. And clean nappies. I was stressed about the fact that Mila’s nursery wouldn’t be finished by the time that she was born and my husband used to say to me it doesn’t matter! And you know what? He was so right. And it’s still not complete. I am now working with an upholsterer to make a bespoke cot and re-doing the curtains and its an ongoing work in progress. But Mila is 6 months and will have no memory of it and its really just for parents not for babies! So focus on the things that do matter. 6.I was very open about the fact that I had a maternity nurse for 8 weeks when Mila was born and guess what the biggest thing that I discovered from having her is? That I wouldn’t do it again. The thing about me is that I often worry about being able to do something before it has happened, but when it actually does I deal with it just fine. I was genuinely petrified about the sleepless nights before Mila was born and in the lead up to the nurse finishing, but once I actually started doing them I realised they really aren’t that bad. Ive never been one for napping (I probably should) but I believe that women are made to do this and somehow we manage to function on very little sleep. Mila sleeps well but she still wakes up for dream feed at 11pm and she can have bad nights where she wakes up a lot but I just don’t see these things as an issue – I think if you just get on with it then anything is doable. Is it a luxury to have a maternity nurse? Absolutely. But I want to be the one to look after my own child through good times and bad. 7.There is a great sense of community. Whether its the women you meet in your NCT class, your friends, random people you meet in a park or class, or those you meet over social media I have discovered that all mothers want to meet other mothers and support each other. Its a wonderful thing and should be celebrated. 8.However its important to not judge other mothers. I like to pride myself as being a very non-judgemental person – I literally see no point. But this is especially important when it comes to being a mum! Every parent is different, every baby is different. There is no right way to do things. All we can do is our best. 9.Travel! It REALLY is easy with a baby. I mentioned this week that we are even planning on taking Mila on a roadtrip through the US this summer. Yes you have to plan and yes being at home all the time is probably easier but travelling is amazing and I was never going to stop just because I had a baby. You will have obstacles – not sure if I ever mentioned this (baby brain!) but when we came back from our first trip from Finland when Mila was 8 weeks old we walked into our apartment and it smelled of gas. I obviously walked straight back out again and got us a hotel room close by whilst my husband tried to deal with the situation. Mila was quite stressed out as it was late and she was tired and her routine was totally interrupted and it resulted in her staying up all night and of course us staying up all night as a result of that. We made a fun night out of it and tried all kinds of tricks to get her to sleep and we have so many hilarious memories. The room had 2 single beds and Mila refused to sleep in the cot they provided but at around 5am she finally fell asleep in the middle of one of the single beds! My husband and curled up on the tiny single bed next to her. 10.There is no need to be OCD when it comes to germs. For the first few weeks I made everyone sanitise their hands constantly when in contact with Mila. I still sterilise her bottles etc of course but I do think its good for babies to pick up some germs as it makes the immune system stronger. 11.When it comes to sleep it literally is a lottery. Some babies sleep through the night at 6 weeks some don’t for years. I did meet a woman in my local starbucks that worked with a sleep trainer for her twins but it sounded brutal and I just cant do that. Eventually all children will sleep through the night every night so I prefer to just let Mila get to that stage herself. 12.It gets easier the older your baby gets. I am sure there are plenty of different challenges. Maybe more difficult. But lots of things get easier. I remember when Mila was around 6 weeks old we went through a month of the dreaded witching hour evenings. It would take us HOURS to get her to sleep. But then one day it just passed and now she goes to sleep very easily at 7pm. I know that sometimes especially when you are sleep deprived things can feel tough but I try to always stay positive as I know that eventually every stage will pass.